According to the Congressional Budget Office, the distribution of wealth in the United States has grown increasingly unequal over the past half-century, especially along racial lines. 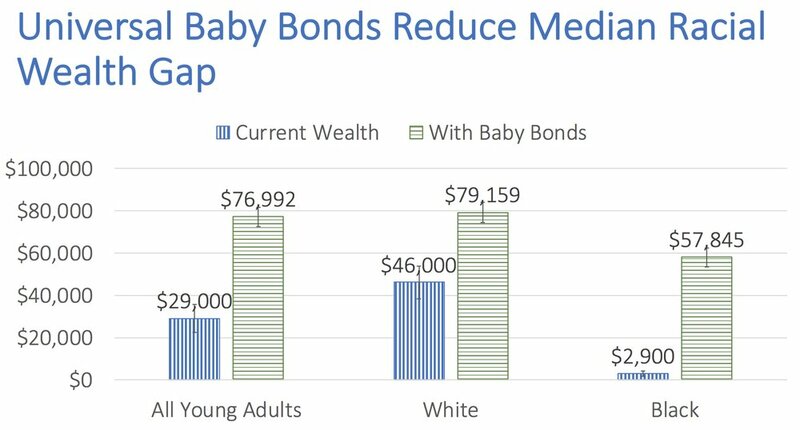 Lawmakers and researchers have proposed to address the issue by introducing universal “baby bonds,” paid to each newborn in the United States and preserved until the individual reaches young adulthood. By tying bond values to net worth rather than to income, the proposed scheme intends to better address the persistent racial disparities in net wealth. A new study by Naomi Zewde, a postdoctoral research scientist at the Center on Poverty and Social Policy, finds that the policy would considerably narrow wealth inequalities by race. At the same time, it would also improve the net-asset position of all young adults and alleviate the concentration of wealth at the top. For more discussion, see the recent article in the Vox featuring Dr. Zewde’s study.